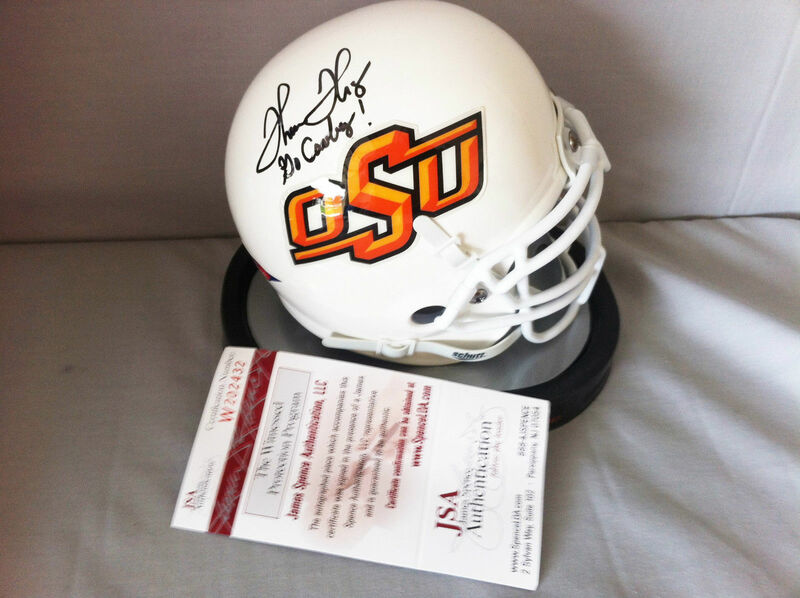 Oklahoma State Schutt mini helmet autographed beautifully in black marker by former superstar running back Thurman Thomas and inscribed Go Cowboys! Witnessed and authenticated by JSA with their matching numbered sticker on the helmet and certificate of authenticity. ONLY ONE AVAILABLE FOR SALE.